How I Launched My Real Estate Investing Career with $5,000. | Passive Income M.D. Home Real Estate Crowdfunding How I Launched My Real Estate Investing Career with $5,000. To be completely honest, I was scared to start. I had never invested in real estate before (the purchase of my own home doesn’t count). Sure, I’d done plenty of reading and had gone to a few local real estate investor meetings, but when it came to putting my own money on the line, I was hesitant. All I knew was that I wanted to explore different sources of passive income, I only had so much time as a doctor, and real estate seemed like a good option. Eventually, I found myself at a real estate conference, and someone was speaking on what he termed “online crowdfunding real estate platforms.” It was presented as a relatively new way for investors to gain access to real estate deals. This caught my attention. I was particularly drawn to these platforms’ low minimums–sometimes as low as $3000 – $5000—and I figured this might be the perfect way to start and learn as I went. Best of all, starting with a smaller investment meant that in the worst case scenario, I wouldn’t have to tell my wife that we were eating ramen all next month. The only catch with this type of this investment? These platforms usually require you to be an accredited investor* (see below for definition). 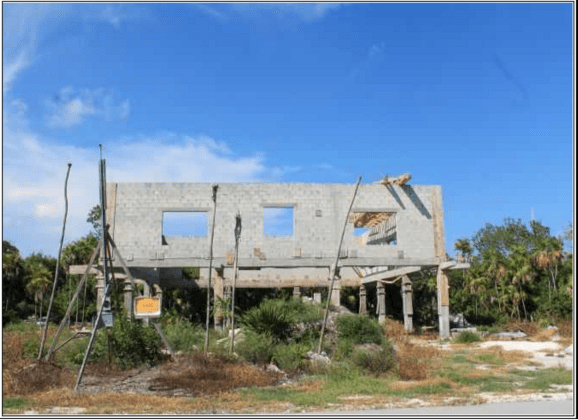 Description: The developer is requesting a loan in the amount of $140,000 in order to complete construction and prepare a single family home for rental. They showed me their basic risk assessment. It’s a 12-month loan, seems like a decent length to see a good return, and interest would be paid out every month. This might be a nice source of passive income. It’s a first position lien, meaning that if they were to default, we would be the first priority to be paid back and Patch of Land would handle the whole default process. 11% APR was much better than I was getting back in my savings accounts (just 1%). Developer has a good track record, with two personal guarantees on the loan. The project is truly ground up. It looked like a mess to me, but I guess that’s how these ground up developments are. A big part of it came down to the risk involved and was it worth the return? Did I believe the risk profile assessment by Patch of Land? At this point I still wasn’t 100% confident. However, I didn’t know what else it would take. I came to the decision that the only way to find out the answers to these questions would be by jumping right in. So, on July 28th, 2014, I went ahead and invested the $5,000 minimum. I think my hand was shaking a bit while pushing that final submit button. I started receiving these emails in my inbox (see pic). I received monthly interest payments (~$46 per month), depending on the number of days in the month. The calculation is: 11% APR with an initial investment of $5000 = $550 for the year. Divided by a year (12 months), this comes out to $45.83 a month. Before the 12 month period was up, the borrower asked for an extension and, as agreed upon, paid a small fee to extend the loan. The loan was paid back to Patch of Land in full (maturity) on 9-24-15 (~14 months) and that was passed on to the investors pretty much immediately. A total of $687.07 interest was paid over the life of the loan. In total that was a 13.7% return over 14 months, which is not too shabby. That’s an 11.75% annualized return. Did I wait for this loan to be paid in full to invest in another deal? Absolutely not. Once I saw the interest actually returning to my account and the potential for more passive income, it emboldened me to invest in other crowdfunding real estate deals. I had some money in my savings account (apart from my emergency fund) that was just sitting there, collecting very little interest, and I decided to put it to work. That first $5,000 investment got the snowball rolling. Since then, I’ve invested in twelve other crowdfunding real estate deals (with various sites, look out for an upcoming review), in syndicated apartment deals, bought a single-family rental property, and purchased a small apartment building. All of this, of course, in the name of achieving financial freedom through multiple streams of passive income. Just taking that first step helped mitigate some of the intimidation factor of investing in real estate. My career as an investor took off, and those streams of passive income have been piling up ever since. Just like with any other investment, crowdfunding is not without risk, however. It is ultimately up to you to do the due diligence on the deal at hand. 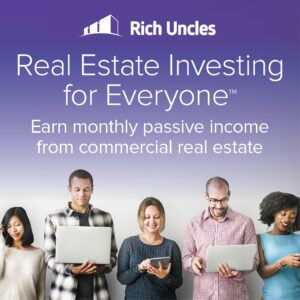 If you’re looking for new ways to invest, and are looking for another source of passive income, real estate crowdfunding might be a great way to start. All you need is a little desire, determination, and $5,000. 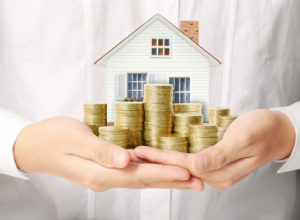 Check out my list of The Best Real Estate Crowdfunding Sites. Any questions or comments? 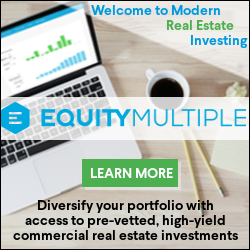 Anyone else had a good or bad experience with real estate crowdfunding? I’m looking forward to reading more about your experience with crowdfunding. I’ve had a great overall experience but I’m still not sure whether I just got lucky with timing considering where the market is. I’m still investing but a little more carefully. I’m sure you’ve done pretty well as well, right? Hello, there. May I ask how do you go with filing taxes? Do you file taxes with the states the properties are located at on top of federal income tax? The short answer is yes, but can be a little more complicated depending on the state. You have to report in your own state, but you do get a tax credit if you filed in another state.